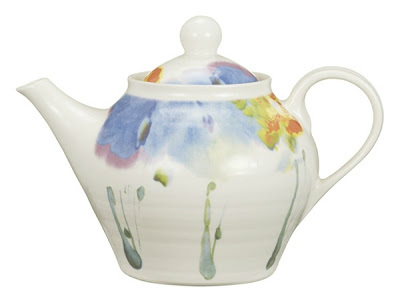 It was when I was doing my customary wish list wander round John Lewis the other week that I came across this range by Janice Tchalenko for Poole Pottery and I rather fell in love. While I think having a full set would be Too Much, I certainly wouldn't object to a few bits to brighten up my table. 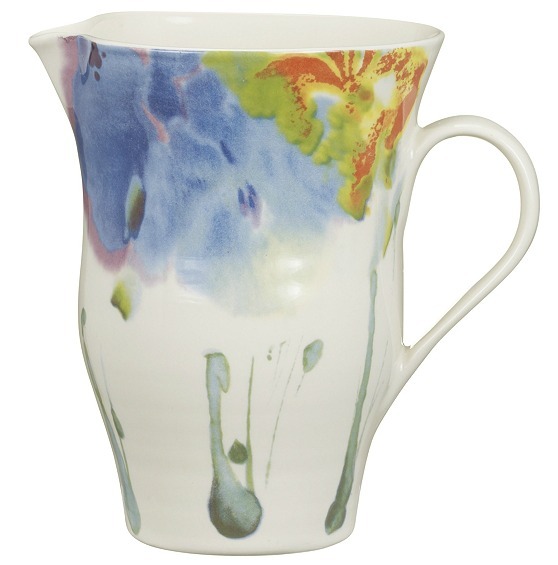 It was this jug that caught my eye first. I immediately wanted it full of home made lemonade. It's £25 which isn't so expensive that you couldn't afford lemons. I drink more tea than lemonade though so maybe I'd get more use from the teapot. It's as pretty as the jug but costs a little bit more at £30. 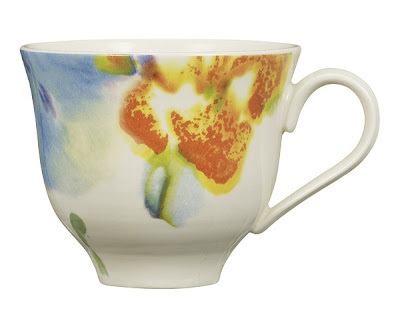 I could drink tea AND lemonade out of this cup though making it a perfect buy and only £10. You can get a saucer too if you like but that'll cost you an extra £4.50. No, I don't know why they're sold separately either.